MACNA is a great time to learn about new things Aquarium and this year’s event was no exception! Probably the most exciting news coming from the show was from a startup company, Poma Labs. The business was co-founded by Dr. Matt Wittenrich and Nuri Fisher from Piscine Energetics and we had the pleasure of meeting with the guys from Poma Labs at MACNA this past weekend. I was blown away when I saw what they have quietly been working on. 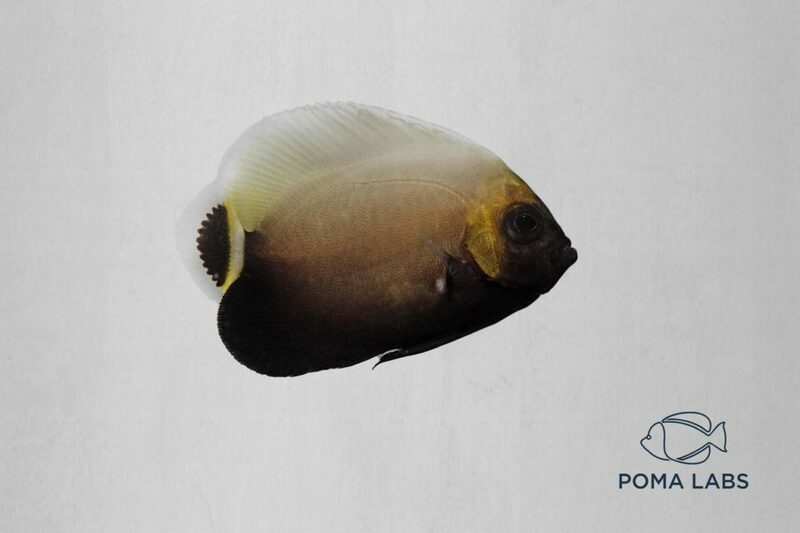 Poma Labs is new company that has been focusing on breeding angelfish and other ornamental species. 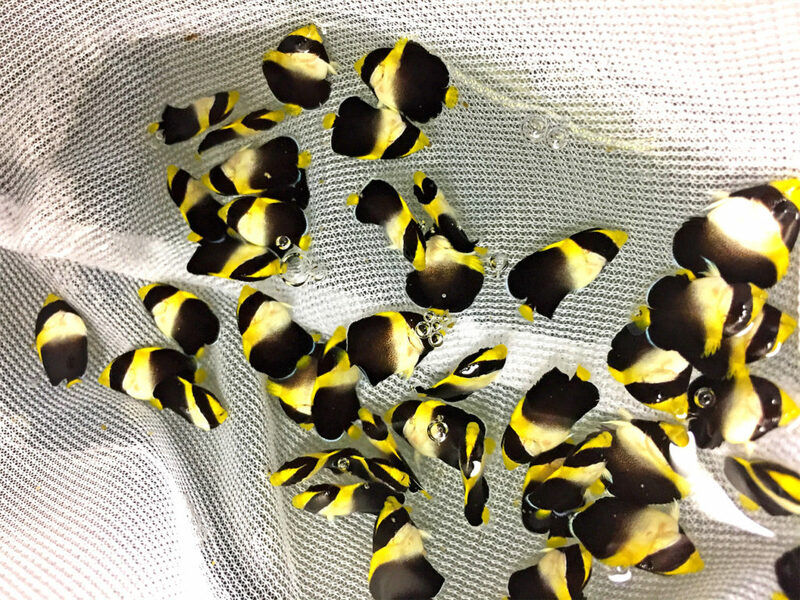 The announcement comes with the debut of nine new species of captive bred angelfish and butterfly fish, including the amazing Conspicuous Angelfish, as shown in the headline photo, which are available for $5888.00. If $5888.00 is out of your comfort zone then do not fret. Poma Labs is also breeding the CB Singapore angels for $115.00, as well as Blueline angels for $505.00. 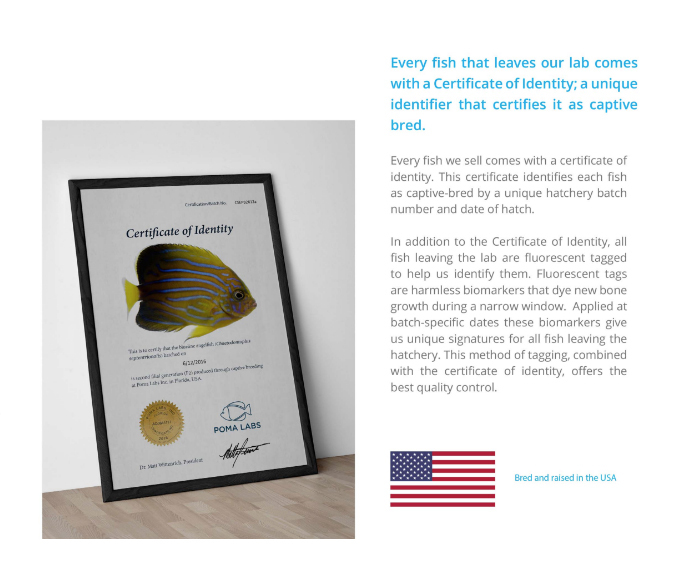 These captive-bred, conspicuous angelfish were hatched on April 18th of this year and each fish comes with a certificate of identity and 30 day Guarantee. Poma Labs is just getting started and they have hinted that new captive bred species will be announced in the not-so-distant future. 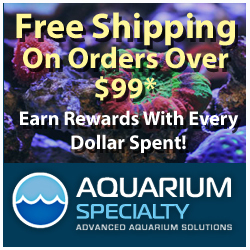 These are exciting times for the aquarium hobby! Congratulations to Poma Labs for further proving that our industry has many important facets to it. This past weekend we shot a short video of the Poma Labs display at MACNA. With a little luck, we will hopefully post the video tomorrow. Conceived from curiosity. Pursued with passion. We envisioned an aquaculture facility that was based on a boutique concept. Rare, one-of-a-kind fishes made available directly to aquarists. Fish that ate when fed, didn’t die of mysterious illnesses, and fish that didn’t make you queasy thinking about a purchase with no guarantee. Poma Labs Inc. is the result of intense research and development designed to bring new species to commercial reality. With the creation of an ‘inland ocean’ and proprietary new techniques, we are proud of what we have accomplished and extremely optimistic of things to come. Poma Labs Inc. is a family operated business that emphasizes the quality of our products and the character of our service.